Mass chanted on the 100 day of Lp Sakorn passing. 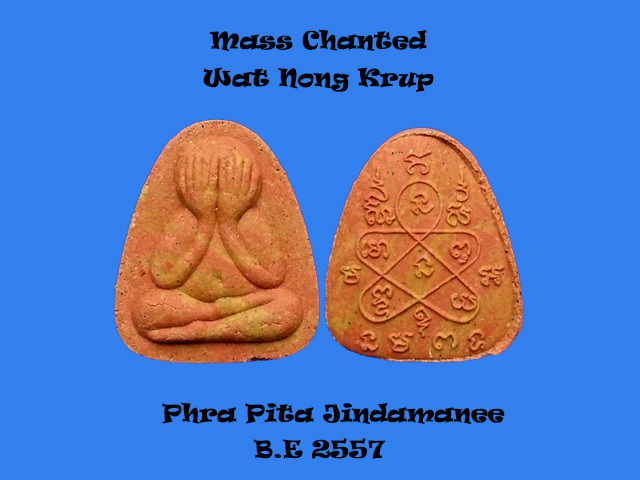 As Thai believes that on the 100 day of a person passing, the soul will come back to visit and bless this batch of amulets. 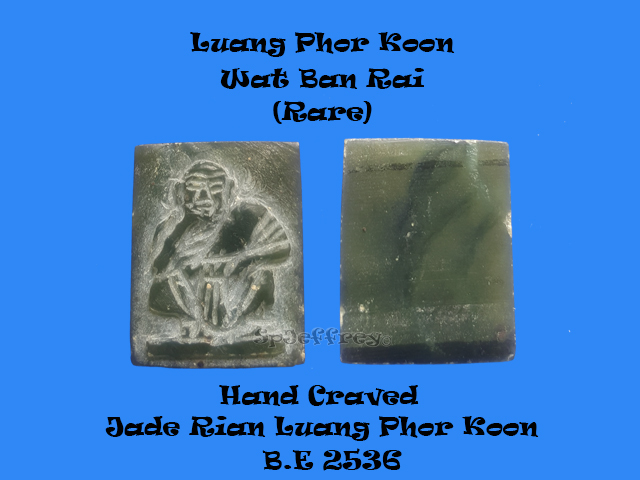 Mixed with remaining old powder left by Lp Sakorn and his master famous pong plaii kuman in makes this batch affordable and great for wearing. 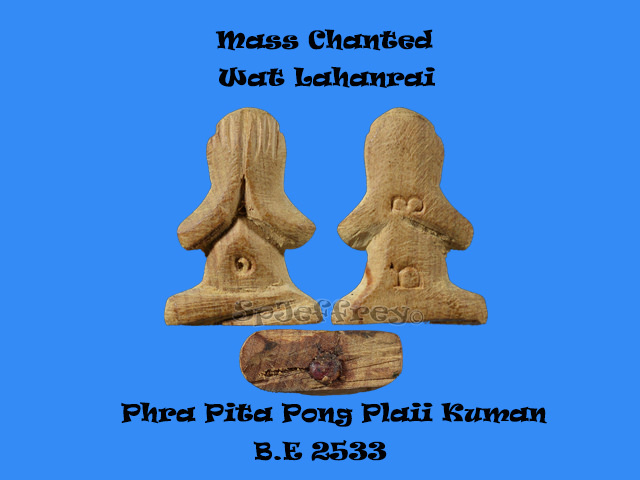 Chanted by disciple of Lp Tim, Lp Sin, Lp Sakorn, Lp Fu, Ajarn Chinaporn etc using jackfruit wood to hand crave into an image of Pita and stuff with famous Pong Plaii Kuman left by Lp Tim at the bottom of this beautiful piece of amulet. Very limited piece are made as 2 code are being stamped at the back of the amulet (Code N and code 3) making it highly collectable. 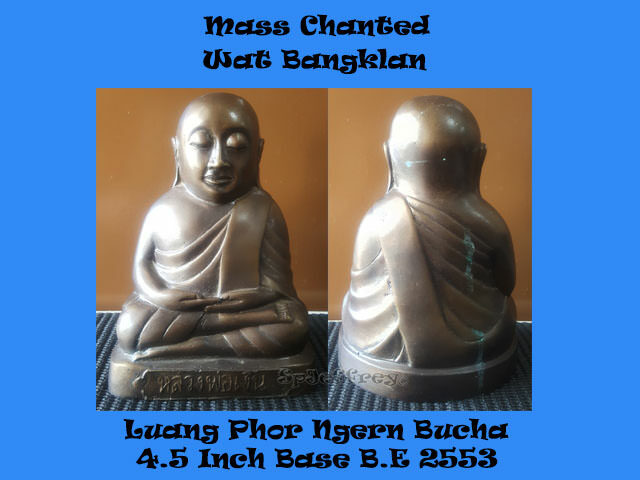 Lp Ngern is famous throughout Thailand which many have experience its miracle especially business owner would put a bucha of Lp Ngern in their office or shop for wealth and attrach more business. Which many Thai believes that when business is back or quiet, pray to Lp Ngern sincerely and your business will come in straight. Mass Chanted in Wat Bangklan which many top monks invited to the ceremony. Chanted by all time famous Lp Thaud maker Ajarn Nong as he is one of the pioneer to make Luang Pu Thuad throughout Thailand. A great piece for ladies or babies as they are mini in jew as you will not feel anything when wearing. 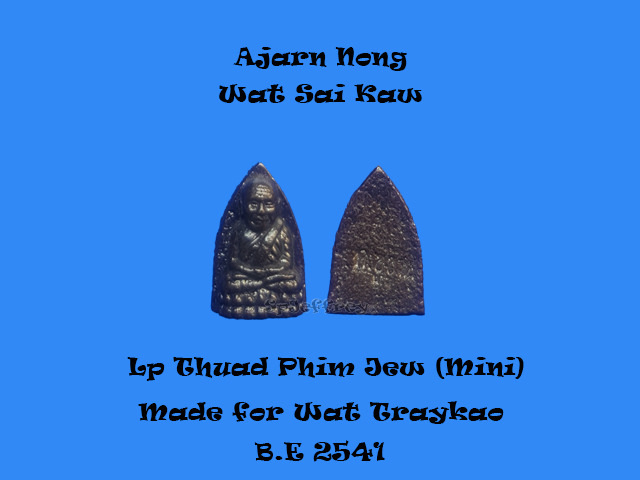 Luang Pu Thuad is well known to bless believer with protection and away from harm.